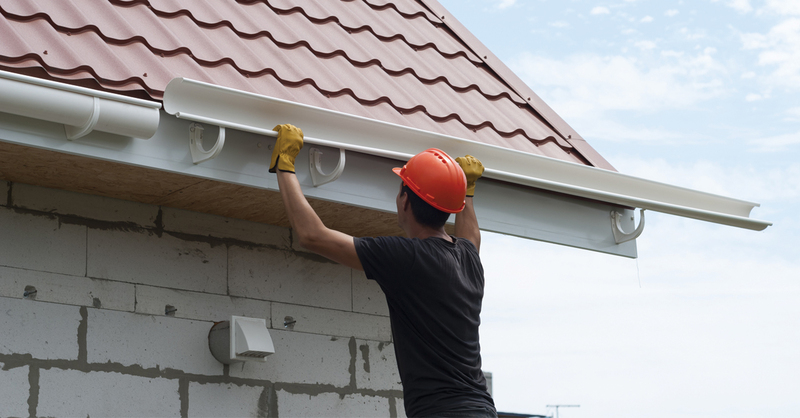 A well-maintained gutter system will keep your roof, foundation, and landscape safe from oversaturation while preventing water from seeping inside and inflicting damage on the walls, floors, and ceilings. Clean gutters also prevent unwanted wildlife from infiltrating your home or property. Gutters that are full of organic debris make a nice home for pests, insects, rodents, and mold, while also making a perfect environment for birds, wasps, and bees to build their nests. By rule of thumb, gutters should be cleaned at least twice a year, typically in the spring and the fall. Weather patterns can increase the need, however, especially here in the state of Florida. Heavy winds during tropical storms can quickly send debris into your gutters as well as damage their structural integrity. If your building is surrounded by trees, be sure to inspect them even more than twice a year. Specifically, pine trees are notorious for clogging gutters as pines shed very easily. A gutter system’s lifespan is dependent on their material and how well they were installed and maintained. If installed properly, aluminum gutters should not deteriorate and can even outlive the home or building. Galvanized steel gutters will start to depreciate after 15 to 20 years. Gutter systems are designed to drain water away from your home and its foundation. That is why Hi-Rise Commercial Roofing has a team full of roofing professionals that are committed to maintaining and installing the highest quality gutter systems. We’re just a phone call or a click away from helping, so contact us today for a gutter assessment!